Versatility and adaptability are the trademark of good design and the Celine range certainly offers both. Within the total range of eleven faucets, shower heads and bath fillers, there is something for every application, with the single over-riding theme of refined simplicity, geometric clarity, and minimalist beauty. 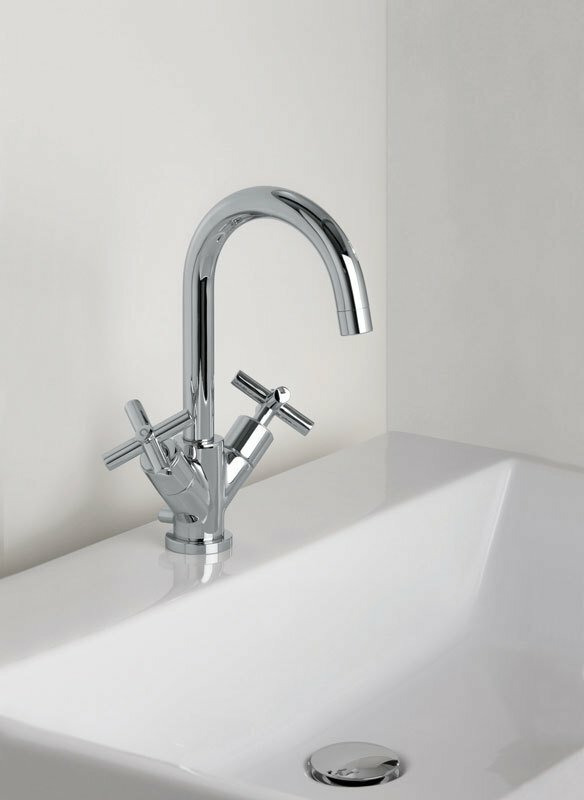 This faucet is yet another interpretation of the clean, crisp concept behind Celine with its tubular pillar to the curved spout. 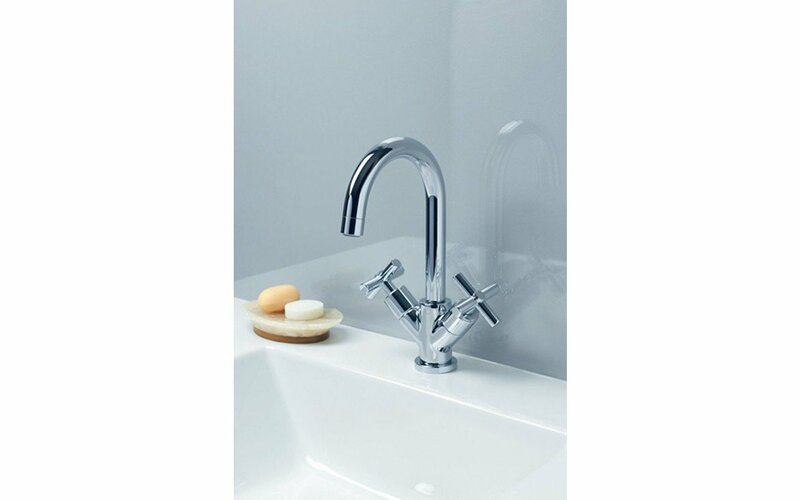 The wider base incorporates the separate hot and cold taps which branch left and right. 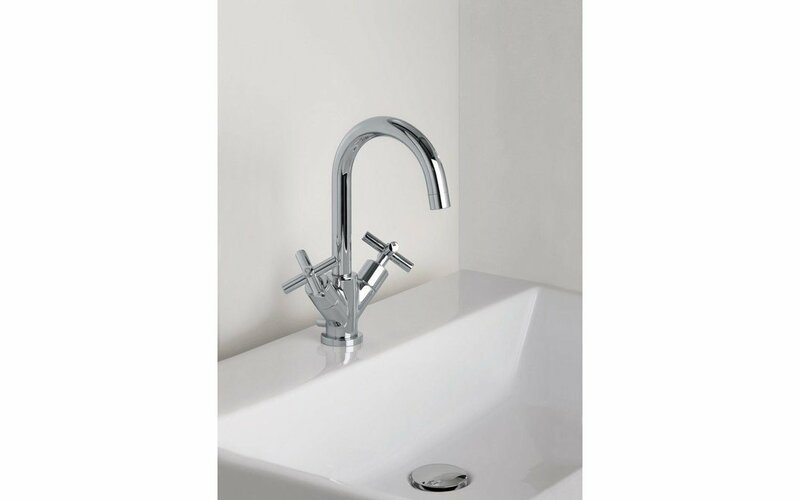 These taps continue the theme of the solid chrome, cross-handled tubular styling that is both easy to use and very attractive. The 7-inch (17.75 cm) pillar then narrows and rises in one simple, elegant arc. This faucet comes with a matching chrome 1 1/4” up-down waste to complete the picture.